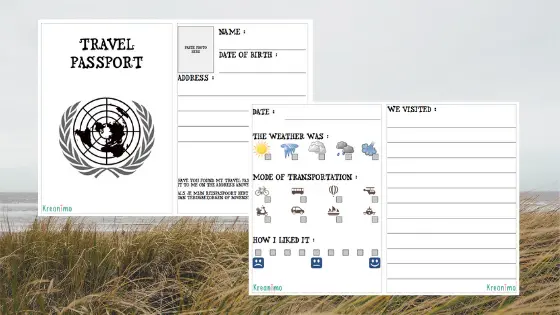 Print a travel journal for your kids to fill in. When you travel, pictures will help you to capture the beautiful moments. Although, pictures just don’t capture ‘being there’ if you ask me. 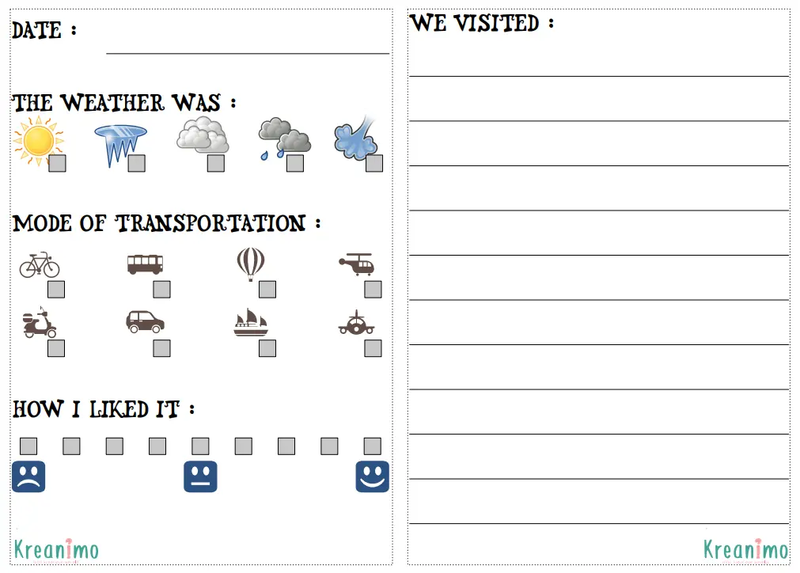 To be able to remember more, to keep the little things in mind it is a good idea to write things you eat and places you visit down into a travel journal. 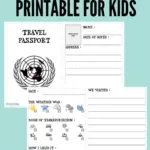 I created a travel journal printable for kids. It is very easy to use. It has a ‘pasport’ and they can circle the weather of the day. They can tell what they ate. How did they travel and how long was their journey? 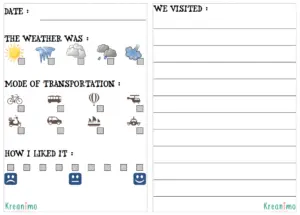 These printables can be printed and glued in little A5 booklets. I chose spirals, just because that works better when the kids have to color and write in them. 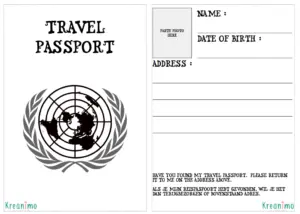 The Passport has to be printed out just once. The other pages can be printed as many times as needed. 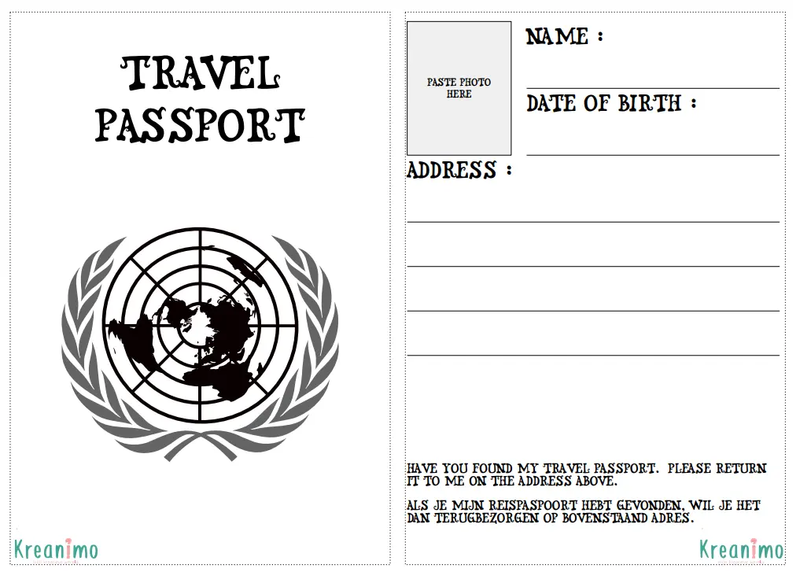 When your journey takes ten days, just print them out ten times.